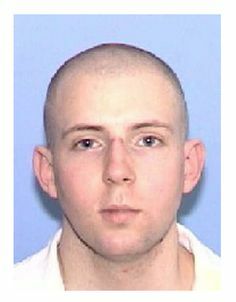 Adam Kelly Ward was executed by the state of Texas on Tuesday, March 22, 2016. He was pronounced dead at 6:34 pm CDT, inside the Walls Unit execution chamber at the Huntsville State Penitentiary in Huntsville, Texas. Adam was 33 years of age. He was executed for the murder of 46-year-old Michael “Pee Wee” Walker on June 13, 2005, in Commerce, Texas. Adam spent the last eight years of his life on Texas’ death row. Adam was diagnosed as bi-polar disorder when he was four and began taking medication. He was known to be aggressive and anti-social. Adam was living with his father at the time of the murder. Both men were known to suffer from similar, shared delusions. One of the delusions was that there was a conspiracy against their family by the city of Commerce and that the Illuminati controlled the government. Adam Ward and his father were known to hoard rubbish inside and outside the home. They also collected guns and ammunition. Due to their hoarding, they had been cited numerous times by the city for failing to comply with housing and zoning codes. On June 13, 2005, City of Commerce Code Enforcement Officer Michael Walker went to the Ward home to record continuing violations for unsheltered storage. Wearing a shirt that identified Michael as a Code Enforcement Officer and driving a marked truck, Michael approached the Ward home. He was unarmed and carried a digital camera. When Michael arrived, Ward was washing his vehicle in the driveway. Michael walked around the property taking pictures. When he finished he went to talk to Ward. The two began arguing. Ward’s father came out of the house and attempted to defuse the conversation. Ward sprayed Michael with water hose. Michael then used his cell phone to call for assistance. During the call, Ward went into the home. Ward’s father advised Michael to leave the property. Ward’s father knew that there were guns in the house, but did not warn Michael. Michael returned to his vehicle to wait. Ward exited the home and walked towards Michael, shooting a .45 caliber pistol. Michael was shot at total of nine times and did not survive his injures. Ward was arrested and confessed to the crime, alleging that Michael had threatened to tear down the home. Ward also said that he though Michael was calling the police and feared for his life because he was, allegedly, previously beaten up by the police. There is no evidence to support this claim. Ward was sentenced to death in 2007. Please pray for peace and healing for the family of Michael Walker. Please pray for strength for the family of Adam Ward.